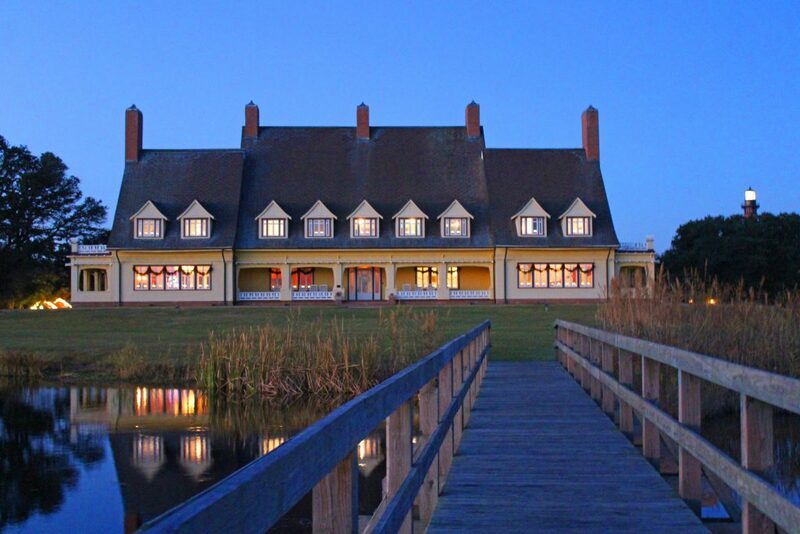 Step back in time to the 1920’s decor and customs taking place during Mr. and Mrs. Knight’s time in Corolla. Whalehead is beautifully decorated in the tradition of the times with greenery, Christmas trees, music, luscious food, fruit, candy and nuts. The tour will feature a live performance on the original one of a kind Steinway piano, custom designed for Mrs. Knight. Tour participants will see four floors of this magnificent mansion including the newly designed Starkey room exhibit. Guest will enjoy a holiday beverage and homemade Christmas cookies at the close of the tour. Our 2018 Candlelight Tour schedule is November 23rd, 24th, 30th, December 7th, 8th, 14th, and 15th from 5:30 to 6:30pm. Admission is $20.00. Tours are limited and sell out quickly so please be sure to register in advance, 252-453-9040. Tours are non-refundable.